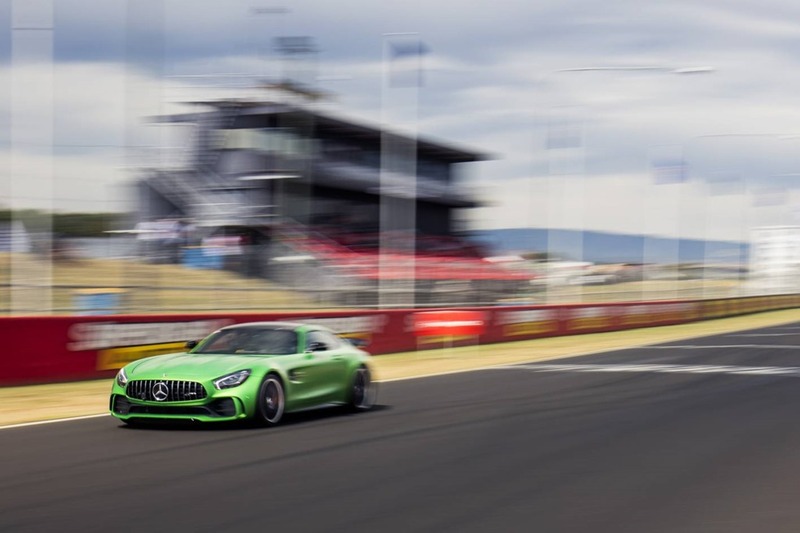 Bathurst, Australia – A Mercedes-AMG GT R has set a new production car lap record of Bathurst’s famous Mount Panorama circuit. 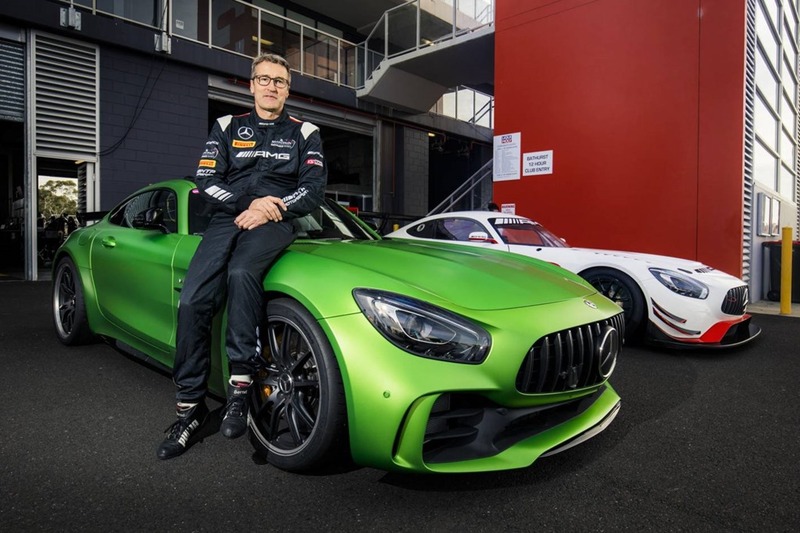 Making its Australian debut in the hands of experienced Mercedes-AMG factory driver Bernd Schneider, the AMG GT R lapped the 6.2km circuit in just 2 minutes 16.5 seconds in the second of two officially timed manufacturer demonstration sessions ahead of the 2017 LiquiMoly Bathurst 12 Hour Race. 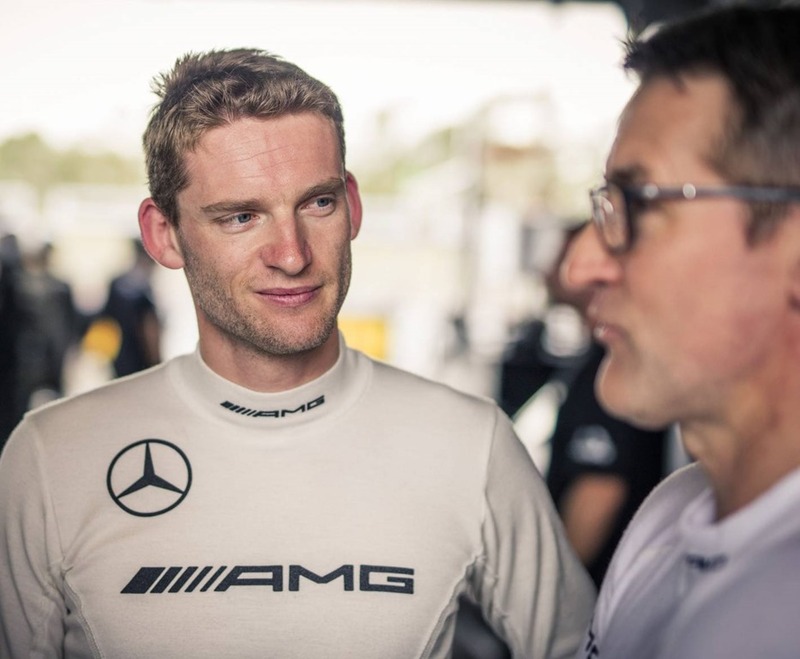 The time eclipses the production car lap record of 2min 24.03sec, set by Schneider in 2015 driving a Mercedes-AMG GT S.
“I love the GT R. I knew it would be a fast car, but it really feels at home here at Mount Panorama,” Schneider said afterwards. 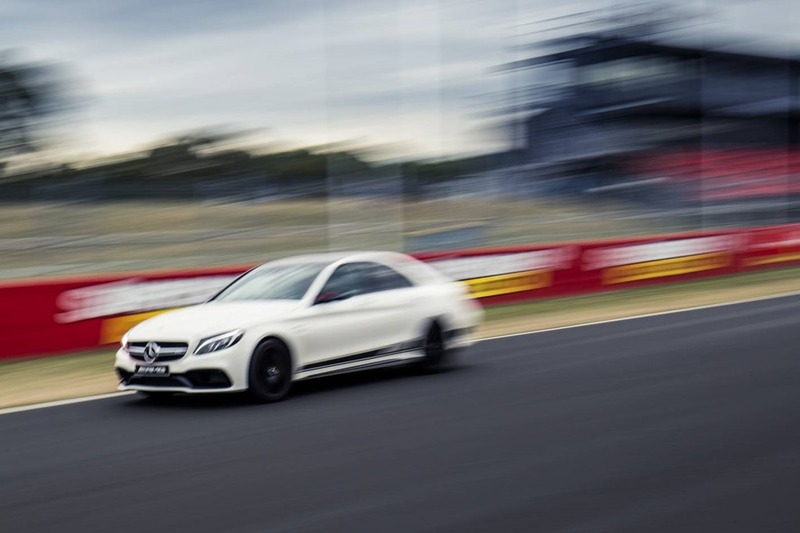 Also during the manufacturer demonstration session, a Mercedes-AMG C 63 S sedan piloted by AMG factory driver Maro Engel posted a lap of 2min 29.7sec, which is believed to be the fastest lap ever for a production car sedan around the challenging Mount Panorama circuit. Mercedes-Benz also supplies two AMG C 63 S sedans to the LiquiMoly Bathurst 12 Hour Race for use as Safety Cars. “The AMG C 63 S is so comfortable and easy to drive on the road, once you hit the racetrack it’s like it sees red and turns into a monster,” Engel said. The Mercedes-AMG GT R will go on sale to Australian customers in July 2017 with the record-setting model priced at $349,000 (MRLP). The AMG GT R packs a twin-turbo V8 engine making 430 kW and 700 Nm, capable of sprinting from 0-100km/h in 3.6 seconds and with a top speed of 318km/h. Wider front and rear wings than the Mercedes-AMG GT upon which it is based allow an increased track width for optimum grip and higher cornering speeds. A new front apron with active elements, large rear aero-foil and new rear apron with double diffuser enhance aerodynamic efficiency and help ensure optimum grip. Other new features include active rear wheel steering, nine-way adjustable traction control system and adjustable coil-over suspension with additional electronic control. The AMG GT R shot to prominence late last year after “The Beast of the Green Hell” lapped the Nürburgring Nordschleife in a time of 7min 10.9 sec. The new spearhead of the AMG model range was faster through the “Green Hell” than any other road-going sports car ever tested by German motoring magazine sport-auto. The price detailed in this document is the current Manufacturer’s Recommended List Price (MRLP).